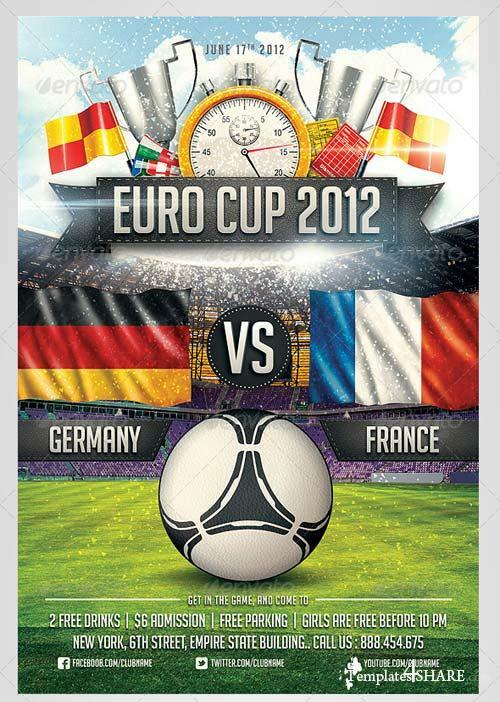 A fresh and colorfull Euro soccer/football flyer for your soccer/football party. Easily editable, highly organized file. 16 flags are included, along with 3 balls, and 2 banners choices. Also you can change the sky from Day/Night in one click.